Google’s Android event was originally scheduled to be held in NYC today. It was cancelled at the last minute in the wake of Hurricane Sandy concern in the eastern coast. But all this didn’t stop the big G’s plans for new product launches for today as it has announced the much awaited Nexus 10 tablet. Here’s everything you need to know about it. 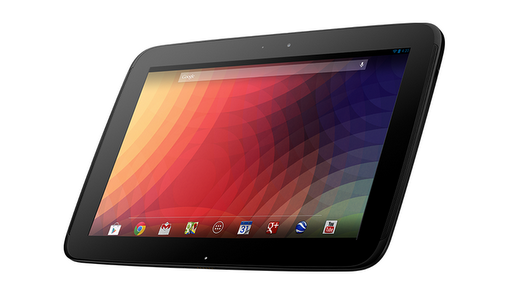 Nexus 10 is the newest tablet from Google. With the world’s highest resolution tablet display, all new multi-user features, immersive HD content and the best Google apps — Nexus 10 has something for everyone. 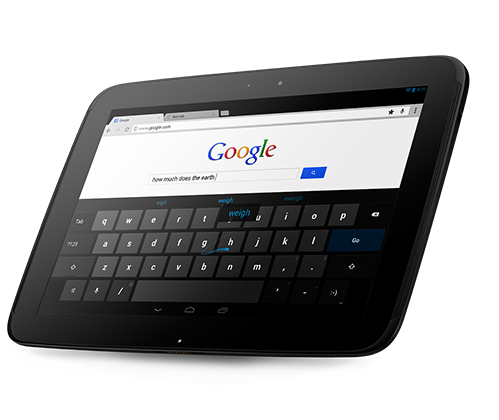 Designed by Google and manufactured by Samsung, Nexus 10 packs a great 10-inch WQXGA 2560 x 1600 resolution Corning(R) Gorilla(R) Glass 2 display with 16:10 aspect ratio and 330ppi. It weighs around 603g. It is powered by a dual-core Cortex A15-based 1.7GHz Samsung Exynos 5250 processor with 2GB of RAM, NFC, dual speakers on the front, Bluetooth 4.0 and WiFi 802.11 b/g/n (MIMO+HT40). There is a 5-megapixel camera on the back, and 1.9-megapixel on the front for taking pictures, video calling etc. It features 9000mAh battery which according to Google and Samsung promises 9 hours of HD video playback and around 500 hours of standby time. Nexus 10 comes with the usual sensors that you would expect from any tablet or smartphone today, these include: microphone, accelerometer, compass, ambient light, gyroscope, barometer and GPS. Nexus 10 also comes with newly announced Android 4.2 Jelly Bean which among other features brings multi-user account support like in Surface RT (Windows RT) to Android tablets. We have more info on Android 4.2 in a separate post on the site. Nexus 10 comes in two flavors: 16GB and 32GB versions. The 16GB version will set you back $399 while the 32GB is set at $499. This is full $100 less than the competing tablet, that is iPad, in the 10-inch tablet bracket. 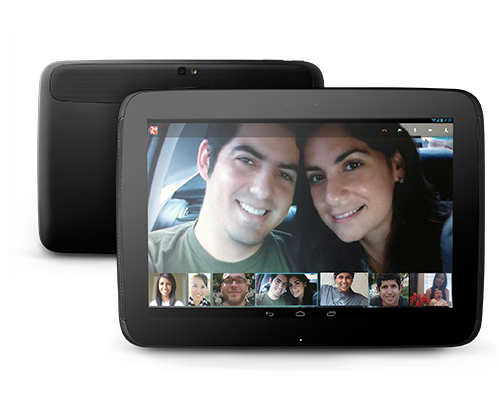 Nexus 10 will be available on 13th November 2012 directly from the online Google Play Stores in US, Canada, UK, France, Germany, Spain and Australia. You may also like to check out the new Nexus 4 smartphone announced by Google today by navigating to this post here.